Prashanth Nair, former USA U-19, was selected for his maiden Senior International duty. Kerk Higgins has been involved in New York and American cricket over the last 20 years. After a successful career Higgins moved into Management and Coaching in 2009. Higgins has featured on the Management team for Bedessee Destroyer and other franchises at both local and national tournaments such as the US Open. Higgins’ most significant appointment to date has been his assignments with the ICC led USA national setup. Following his appearance as a coach at the New York Combine last June, Higgins has featured as manager to the US National Trials at the end of July in Florida, as well as the ICC Americas Under-19 Manager at the West Indies Under Tournament in St. Vincent in August. Higgins then returned to manage a New York Selection against MCC in New York in September. VelloCricket: How was your transition from a player to coaching and management? Kerk Higgins: It wasn’t too bad at all, for the simple fact that I played with most of the players and they were easy to work with. VelloCricket: You have now managed at the National Men’s Trials and at the National youth Level what were those experiences like? Kerk Higgins: It’s always great doing anything with cricket, but those two assignments were good experiences for me, especially the tour to the West Indies Under-19 tournament. The West Indies Under-19 tour was a learning experience because it was my first to tournament being run by a Test playing nation. VelloCricket: You have probably seen it all in US Cricket over the past twenty years. How would you rate the current ICC led administration of US Cricket? Kerk Higgins: I like what ICC is currently doing, why I am in favor of what they are doing is because it is benefiting the players. There are a lot more players getting a chance to compete for a spot in the national team. Also, we are seeing the players have training camps and so on. So for those reason I agree with what ICC is currently doing here. VelloCricket: How did your view of the game change after taking up management and coaching? Kerk Higgins: The game has definitely changed a whole lot. For one, the batters are a bit aggressive and the bowlers are always under pressure. 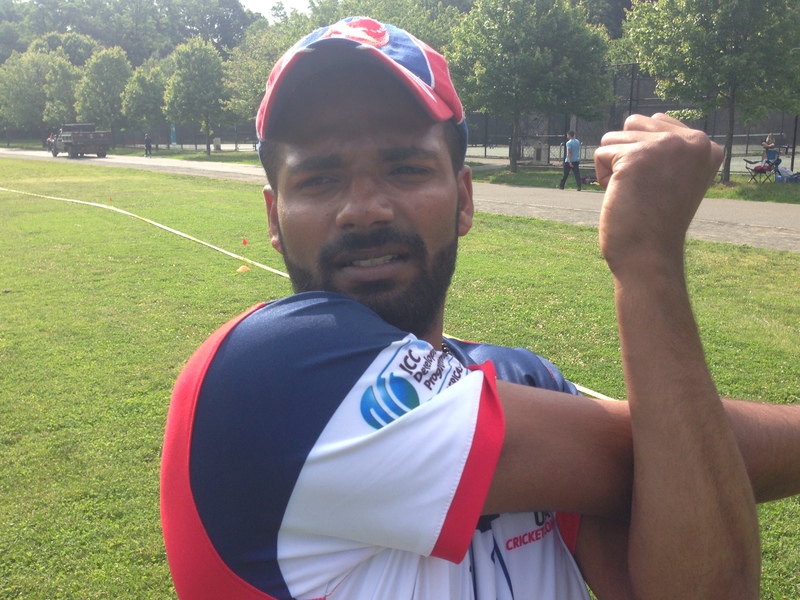 VelloCricket: From the players you have seen this season in the US being around tournaments over the last seven years, what kind of chance would you give Team USA heading into the Auty Cup and World Cricket League (WCL) Division Four next month (October 2016)? Kerk Higgins: Well starting with the Auty Cup, I think it will be a very good test for the US boys, Canada always seem to have an edge over USA, so hopefully with all the work the coaches have been doing with the boys we will see an improved performance against the Canadians. As for the WCL Division Four, I don’t know much of the teams that the US will be competing against, but I do think that we have a good, balanced team that will be competitive in every game and advance to Division Three. VelloCricket: What do you see for yourself and US Cricket in the future? Kerk Higgins: I would love to be part of the management staff of US Cricket. VelloCricket: Any hope for US repeating Afghanistan’s feature rising through the ranks to the upper eons of World Cricket? Kerk Higgins: Definitely! That’s what we all should be striving for. Akeem Dodson, Alex Amsterdam, Danial Ahmed, Elmore Hutchinson, Fahad Babar, Jasdeep Singh, Muhammad Ahsan Ali Khan, Nicholas Standford, Prashanth Nair, Srinivasa Santhanam, Steven Taylor, Syed Abdullah, Timil Patel, Timroy Allen. This entry was posted in Dyon Ravello, Features, Profile and tagged Akeem Dodson, Alex Amsterdam, Bermuda, Danial Ahmed, Dyon Ravello, Elmore Hutchinson, Fahad Babar, ICC, ICC Americas, International Cricket Council, Italy, Jasdeep Singh, Jersey, Kerk Higgins, Muhammad Ahsan Ali Khan, Nicholas Standford, Oman Denmark, Prashanth Nair, Srinivasa Santhanam, Steven Taylor, Syed Abdullah, Timil Patel, Timroy Allen, USA Cricket, WCL, World Cricket League Division Four. Bookmark the permalink.